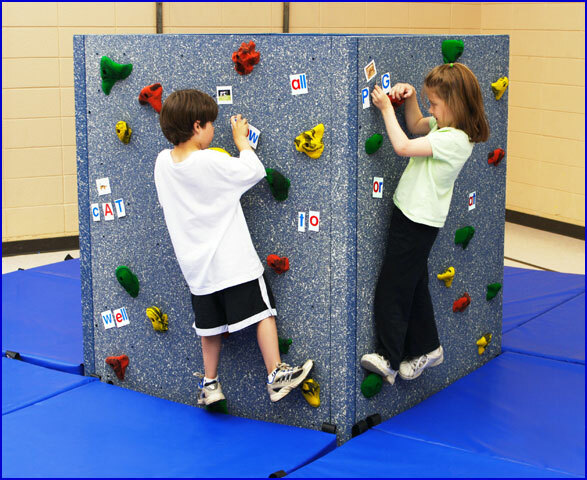 The Tyke Tower is a five-foot high, freestanding climbing wall designed for preschoolers that is perfect for gross motor development. 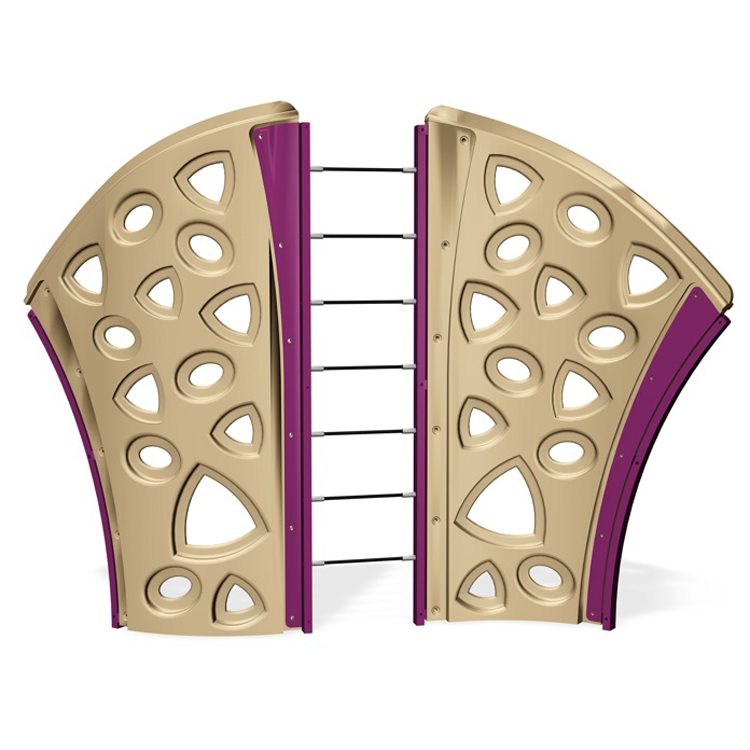 The Tyke Tower Magna surface accepts magnets, enabling children to work on fine motor skills to place, remove and arrange magnets as they climb. This feature provides unique opportunities to reinforce learning, like letter, number and shape recognition. Additional manipulatives may be used with the tower for a myriad of exciting games. 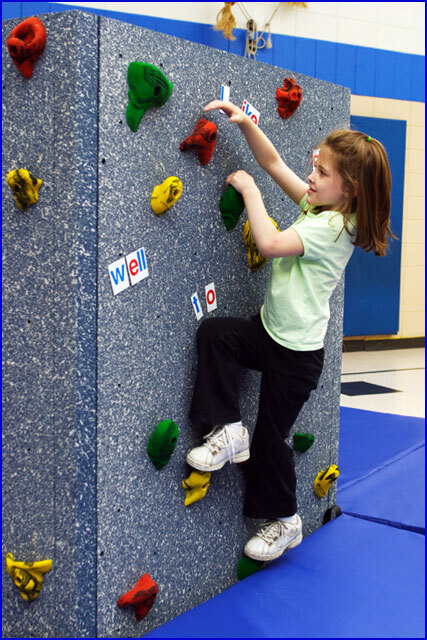 The Tyke Tower is an experiential learning center that captivates young minds and bodies. 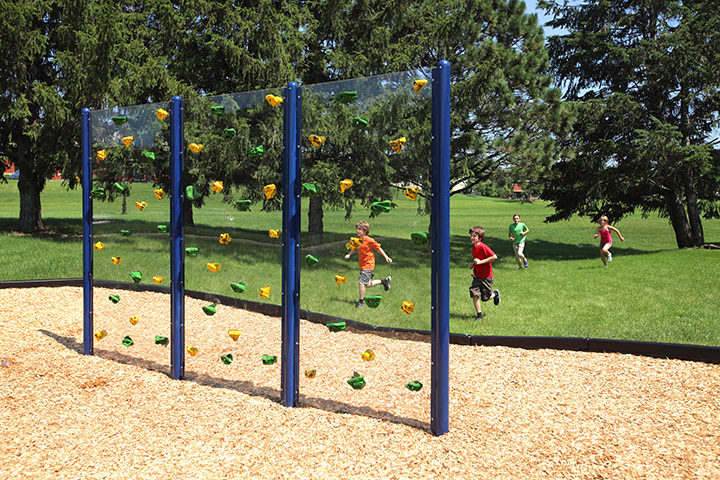 The colorful hand holds add eye appeal to the Tyke Tower and were designed with children in mind. 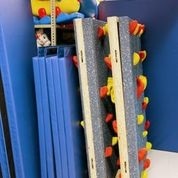 They are tendon friendly, easy to grasp and are color coded for difficulty to accommodate many ability levels. 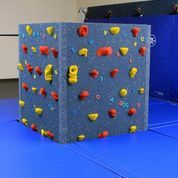 All hand holds are removable, allowing instructors to move andre-positionthem on the wall to add variety to the climbing experience. 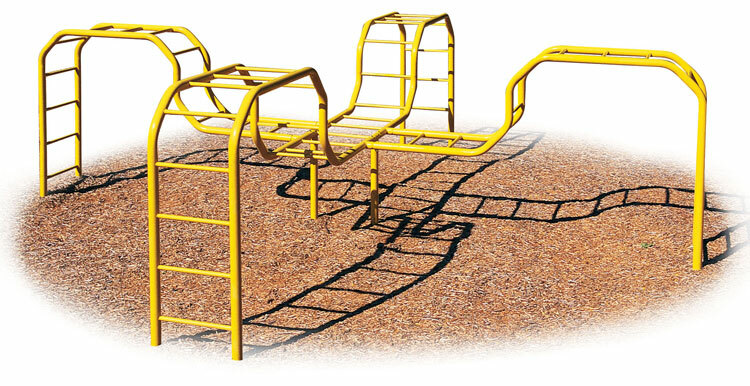 The Tyke Tower has a set-up time of ten minutes, and the four panels easily break down for transport to another location, temporary outside use or storage.